Schizophrenia is causally associated with early-life environmental stress, implicating oxidative stress in its pathophysiology. N-acetyl cysteine (NAC), a glutathione precursor and antioxidant, is emerging as a useful agent in the adjunctive treatment of schizophrenia and other psychiatric illnesses. However, its actions on brain monoamine metabolism are unknown. Social isolation rearing (SIR) in rats presents with face, predictive and construct validity for schizophrenia. This study evaluated the dose-dependent effects of NAC (50, 150 and 250 mg/kg/day × 14 days) on SIR- vs. socially reared induced changes in cortico-striatal levels of dopamine (DA), serotonin (5-HT) noradrenaline (NA) and their associated metabolites. 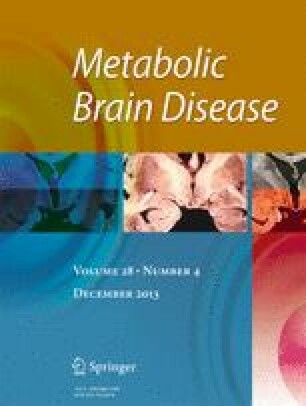 SIR induced significant deficits in frontal cortical DA and its metabolites, 3,4-dihydroxyphenylacetic acid (Dopac) and homovanillic acid (HVA), reduced 5-HT and its metabolite, 5-hydroxyindoleacetic acid (5-HIAA), and reduced levels of the NA metabolite, 3-methoxy-4-hydroxyphenylglycol (MHPG). In addition, significant elevations in frontal cortical NA and striatal DA, Dopac, HVA, 5-HT, 5-HIAA, NA and MHPG were also observed in SIR rats. NAC at 150 and 250 mg/kg reversed all cortico-striatal DA, Dopac, HVA, 5-HT, 5-HIAA and striatal NA alterations in SIR animals, with 250 mg/kg of NAC also reversing alterations in cortico-striatal MHPG. In conclusion, SIR profoundly alters cortico-striatal DA, 5-HT and NA pathways that parallel observations in schizophrenia, while these changes are dose-dependently reversed or abrogated by sub-chronic NAC treatment. A modulatory action on cortico-striatal monoamines may explain NACs’ therapeutic use in schizophrenia and possibly other psychiatric disorders, where redox dysfunction or oxidative stress is a causal factor. The authors declare that this work has been funded by the South African Medical Research Council (BHH). The funder has no other role in this study. The authors would like to thank Mr. Cor Bester, Me. Antoinette Fick and Mr. Petri Bronkhorst for their assistance in the breeding and welfare of the animals. The authors declare that over the past 3 years. Brian Harvey has participated in speakers/advisory boards and received honoraria from Organon, Pfizer and Servier, and has received research funding from Lundbeck. The authors declare that, except for income from the primary employer and research funding to BHH from the South African Medical Research Council, and the above-mentioned exceptions, no financial support or compensation has been received from any individual or corporate entity over the past 3 years for research or professional services, and there are no personal financial holdings that could be perceived as constituting a potential conflict of interest. Michael Berk has received Grant/Research Support from the NIH, Cooperative Research Centre, Simons Autism Foundation, Cancer Council of Victoria, Stanley Medical Research Foundation, MBF, NHMRC, Beyond Blue, Rotary Health, Geelong Medical Research Foundation, Bristol Myers Squibb, Eli Lilly, Glaxo SmithKline, Organon, Novartis, Mayne Pharma and Servier, has been a speaker for Astra Zeneca, Bristol Myers Squibb, Eli Lilly, Glaxo SmithKline, Janssen Cilag, Lundbeck, Merck, Pfizer, Sanofi Synthelabo, Servier, Solvay and Wyeth, and served as a consultant to Astra Zeneca, Bristol Myers Squibb, Eli Lilly, Glaxo SmithKline, Janssen Cilag, Lundbeck Merck and Servier. Dr Berk is a co-inventor of two provisional patents regarding the use of NAC and related compounds for psychiatric indications, which, while assigned to the Flory Institute of Neuroscience and Mental Health, could lead to personal remuneration upon a commercialization event.